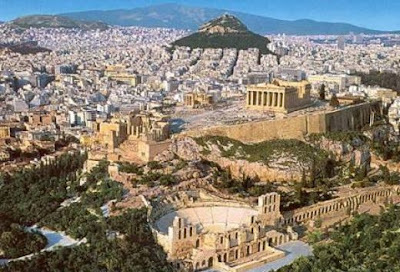 For centuries the Greek city-states fought over land and trade. Then, beginning early in the fifth century B.C., a common enemy brought the Greek people together. Beginning about 540 B.C., armies from Persia conquered Babylon, Assyria, Egypt, and other lands around the Mediterranean. They also captured the Greek cities in Asia Minor. Soon Persian armies crossed the narrow Aegean Sea separating Europe from Asia and invaded the northern Balkans. About 500 B.C. the Greeks of Asia Minor rebelled against the Persians. Although the Athenians sent help, the Greeks in Asia Minor could not defeat the Persians. In 490 B.C. the Persian king, Darius I, turned his soldiers toward Athens because Athens had helped the colonies fight the Persians. The Athenians met the Persians on the plain of Marathon, not far from Athens. 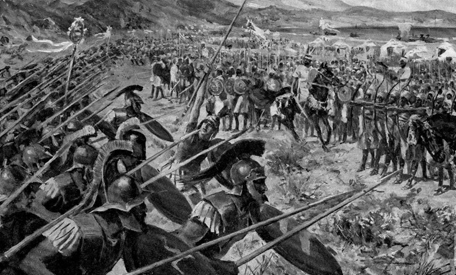 Although the Persians had more soldiers, the Athenians managed to defeat them in just one day of fighting. Later, people told a story of a messenger running all the way to Athens from Marathon to report the amazing victory. Athletes in today's Olympic Games re-create this action in the long-distance running event called the marathon. Darius I died in 486 B.C. After his death, his son Xerxes (ZERK»seez) took control of the Persian kingdom. Xerxes never forgot his father's defeat at the hands of the Greeks. In 480 B.C. he sent soldiers in 800 ships to attack Greece. This time the Persians met Greek forces made up of armies and navies from many city-states, including Athens and Sparta. The Persians still had more soldiers and sailors than the Greeks. Yet in a sea battle near the island of Salamis (SAL»uh»muhs), the Greeks defeated the Persians. The Persians were forced to return home. 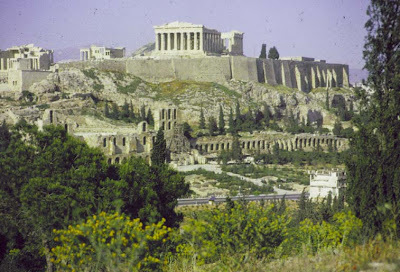 Greek civilization was able to continue undisturbed. After the Persian Wars, the Greek city- states feared future attacks. They banded together to form leagues, or groups of allies, for protection. Sparta led city-states in the Peloponnesian League. 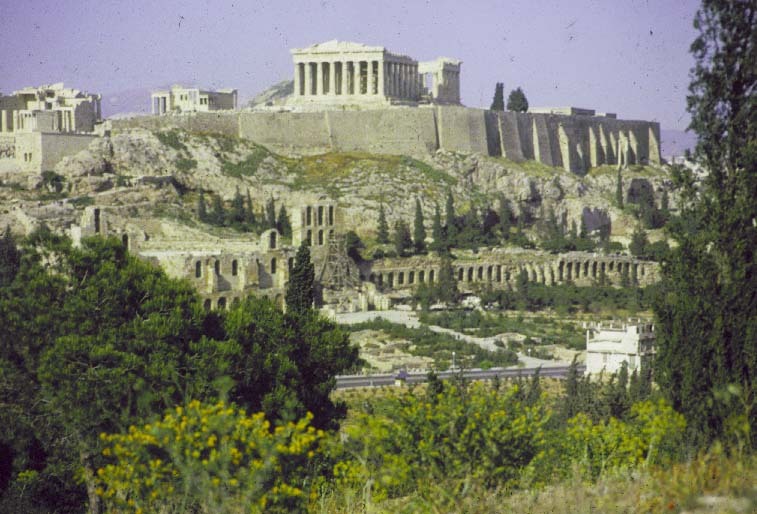 Athens led the city-states of Asia Minor and the Aegean islands in the Delian League. What caused the Greek city- states to band together?